North Shore Rowing Club was established in 1879 and is the oldest sporting club on Sydney’s north shore. It has been in its current location, on the beautiful Lane Cove River at Longueville, since 1933. 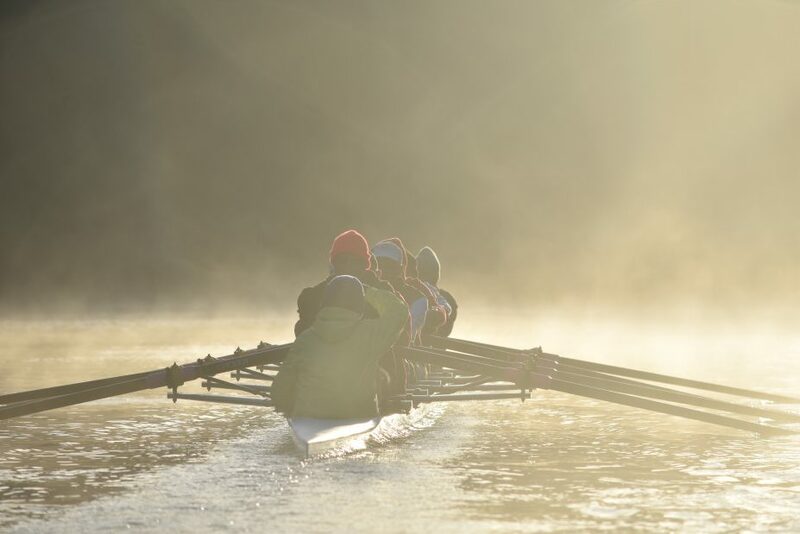 The Club’s main objective is the encouragement of the sport of rowing and the advancement of its interests. Over the years club members have achieved success in State, National and International competition, including several Olympics. North Shore is a community club and today is home to mostly Masters rowers (age 27+) and a small junior membership (age 13 to 18). Membership is evenly divided between male and female, and between competitive and recreational rowers. The shed is also home to the Roseville College rowing program. Members can choose to row competitively or socially. We have a large competitive membership and several crews achieve great success in regattas, both local and interstate. The club owns a large, modern fleet of boats, ergometers and coaching boats and provides excellent men’s and women’s amenities. A new pontoon, which doubles our boating capacity, has recently been installed. North Shore prides itself on being a friendly and inclusive club that caters for most ages and most abilities. New members are typically rowers transferring from other clubs and graduates from our regular Learn To Row courses. We endeavour to assimilate new members quickly through our induction program and by matching them to crews of like ability. North Shore Rowing Club has a strong commitment to teamwork. The club is run by volunteers, several members volunteer coaching services and all members are expected to support the various activities the club undertakes. If this sounds like you…please click on a button below to learn more.